Water is a resource in a sustainable city and can create attractiveness and greenery. Right placed, green areas, vegetation and open streams take care of rain and relieve sewage systems. A pleasant and safe urban environment can be created in parallel with avoiding flooding and improving water quality by reducing emissions of poorly treated sewage. Aging lines, changed climate with intense rainfall, large paved surfaces, combined with stormwater and wastewater ends up in the common pipes, creates major problems in cities. The deficiencies in sewage systems means that they are not future proof, either for society’s economy, environment or human health and wellbeing. Future City Flow will develop an information and decision support system that can describe the link between action and effect in a clear and educational way. The support system should be applicable in small and large cities, both in Sweden and internationally, and provide an effective tool for both short-term system optimization and long-term prevention. The technical conditions for decision support systems are available today. The crucial step is to package these so that they can be an effective and natural part of both work processes and information flows. With the overall competence of the project, such a product can be developed. Demand for a global market is huge and grows as the urbanization trend is sustained and the climate changes.The Future City Flow project has been successfully implemented in an initiation project supported by Vinnova in the context of the call: Challenge-driven innovation, 2015-2016. Future City Flow has been given funds to take the next step in the project and, in collaboration, develop a decision support system so that the sustainable city can control its water flows without floods and untreated wastewater in the environment. 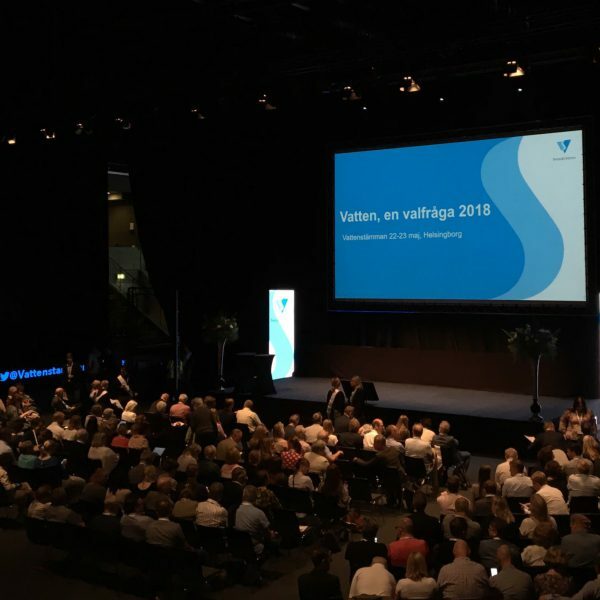 The next step in the project is implemented 2017-2019 and has a total budget of 15.5 million SEK, of which Vinnova contributes with 7.8 million SEK. Develop an information and decision support system that can describe the link between action and effect in a clear and educational way, so that the sustainable city can control its water flows without floods and untreated wastewater. Future City Flow will be presented at conferences and events during the year. What is Future City Flow? Download our folder and learn more. 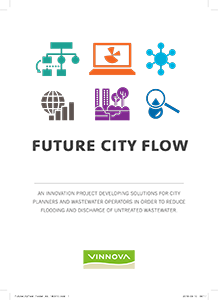 The project Future City Flow is supported by Vinnova. The project runs between 2017-2019.